Magnificent golden and ivory marble with medium variations. SOLD BY BOX OF 10 TILES / 10 SQ FT.
Crema Mocha is a magnificent golden and ivory marble with medium variations. 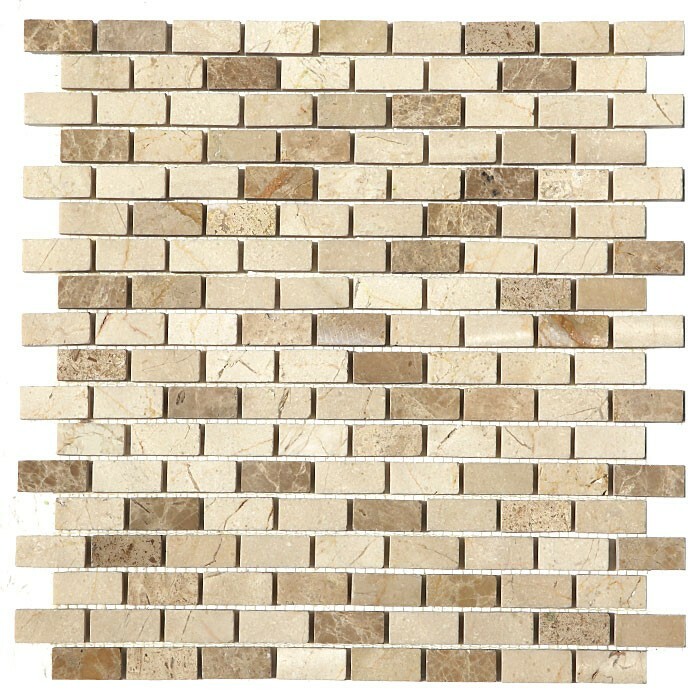 A blend of Emperador Light and Crema Marfil Polished interlocking mosaic is beautiful cream marble from Turkey available in polished tiles for indoor uses in commercial and residential properties. Shades of brown and beige add dimension to the cream background. Brick Size 5/8" x 1-1/4"